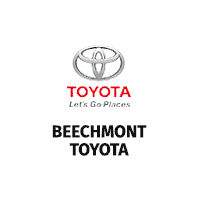 Beechmont Toyota is an equal opportunity employer that values its employees as it’s most important asset. We provide a drug-free work environment and finalists for positions will undergo screening for controlled substances as a condition of employment. Beechmont Toyota offers above average compensation, paid vacation after one year, and health insurance benefits for full-time employees. See the hiring manager for additional details. To apply for any position, simply complete the short application form, and a representative will get back to you with “next steps”. Our Used Car Department continues to grow, meaning we’re looking for a pair of experienced, career-minded sales professionals to join our team. If you’re the kind of motivated sales professional who is looking for a career with unlimited earning potential, a stable compensation plan, and future management possibilities. Come talk with us. We offer a top-ranked pay plan, a stable working environment, health care benefits, and Toyota factory training. Some automotive sales experience is preferred, but not required for the right individual with the rare mix of great people skills, organizational skills, and sales experience. Beechmont Toyota has an exciting opportunity for a full and part-time Rental Car / Appointment Coordinator. The Rental / Appointment Coordinator provides superior, friendly, efficient service during all aspects of the rental car process, and assists all customers with the rental return process. Appointment coordinator provides professional, knowledgeable and courteous service while accurately completing all appointments. Candidate would perform all responsibilities with a focus on the needs of our customers. Understand the rental procedures – example: rental/return documents, fuel services, days/extra hours/surcharges and optional coverage’s. This is a high energy, high effort position that is very fast paced. Our main requirement will be your ability to produce customer satisfaction while maintains sales volume with integrity. This is a five day work week and requires every Saturday. We have a state of the art facility with exceptional customer minded employees. We require a valid driver’s license with a good record. Only candidates with a proven track record of customer service skills will be considered.